Like its predecessor, this volume is a combination of CAD images, well-selected period photos, and concise, well-written text. 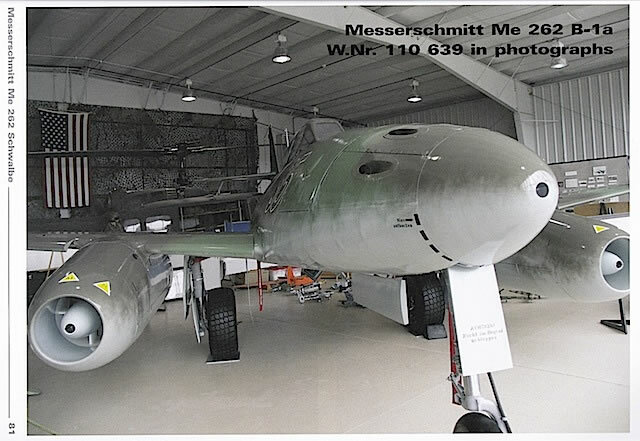 However, whereas part one focused on the evolution of the Me 262 design, the differences between Me 262 variants and a detailed examination of the Me 262 A-1a airframe, part two takes a close look at the type's operational history as well as the twin-seat Me 262 B-1a variant. 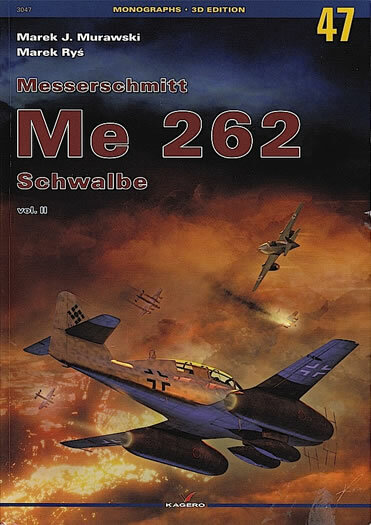 The book opens with a detailed overview of Me 262 production, experimental airframes, camouflage schemes, and combat operations and tactics. I found the section on combat operations - which is broken down into a unit-by-unit analysis - especially interesting, because it presents in a concise, straightforward manner the enormously challenging combat environment faced by the Luftwaffe pilots who flew the Me 262 on operations in 1944-45. Highlights of this section are the authors' good use of personal anecdotes by Me 262 pilots, and the large selection of period photos showing a variety of operational Me 262s. I'm not sure how many of these photos have been previously published - some of them look pretty familiar - but taken as a package they are an excellent resource for modelers. The four period colour photos are particularly interesting. 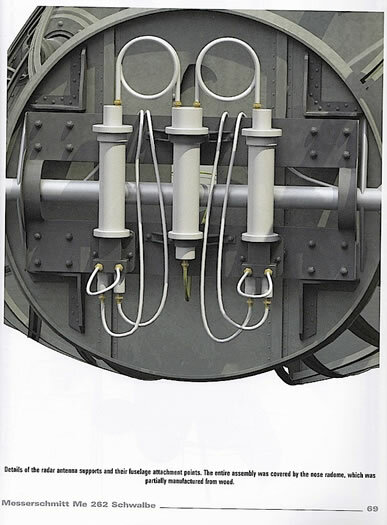 The next 35 pages of the book are devoted to '3D' CAD images of selected Me 262 airframes. 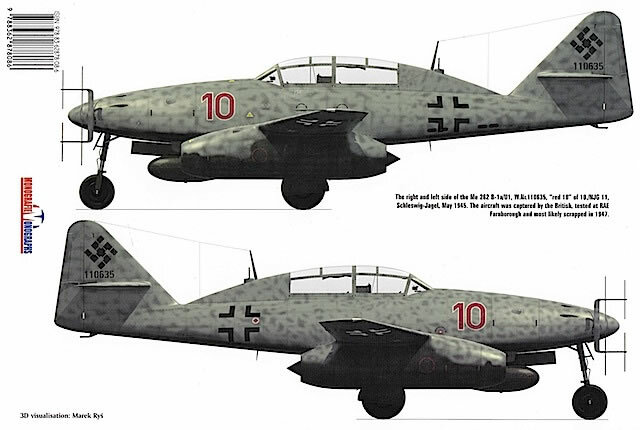 After a brief examination of the Me 262 A-2a bomber variant, the section focuses exclusively on two Me 262 B-1a/U1 night fighters - W.Nr.110635/"Red 10" and W.Nr.110306/"Red 9". Both aircraft were surrendered to British forces at the end of the war, with "Red 9" subsequently handed over to the USA for further evaluation, but unfortunately neither still exists - by the early 1950s, both had been scrapped. 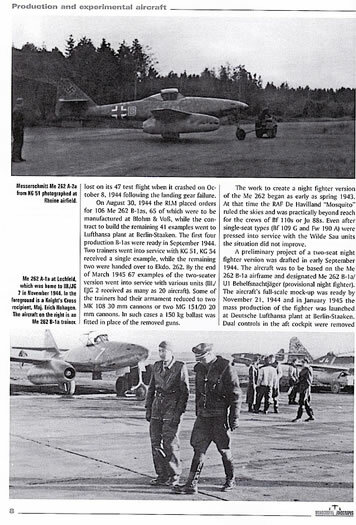 In this sense it is interesting that the authors chose these aircraft as subjects for their virtual walkaround, rather than the two Me 262 B-1a airframes which still exist (W.Nr.110639/"White 35" and W.Nr.110305/"Red 8") – made even more so by the fact that "Red 9" and "Red 10" are not enormously well documented aircraft, at least in their original Luftwaffe guise as depicted here. So while the CAD illustrations appear to be reasonable interpretations of the paint schemes worn by each aircraft, I would not use them as exclusive references if I was going to model either airframe, but rather as a guide in conjunction with period photographs. 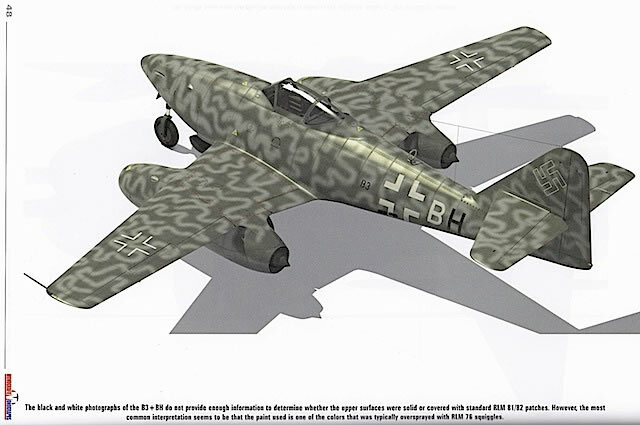 As with part one, the CAD illustrations are of very high quality, and will provide modelers with almost all they realistically need in terms of detailing information on this version of the Me 262. 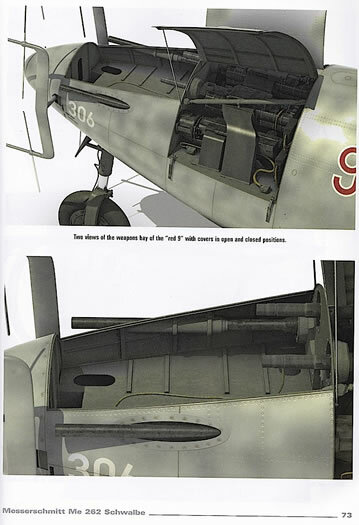 Particular attention is paid to the radar equipment and the armament, cockpit layout, and wheel well arrangements that were unique to the B-1a/U1, as well as some subtle differences between "Red 9" and "Red 10". Again, if I was modeling a B-1a, my preference would be to use the illustrations in conjunction with photos of the real thing. Fortunately, the authors have a similar view, and the next section of the book is a detailed photo walkaround of the restored W.Nr.110639/"White 35" in its hangar in the USA. My only complaint about this excellent series of photographs is that no cockpit images are included - this is disappointing because my understanding is that "White 35" was a trainer rather than a night fighter, and so would have had a different cockpit configuration to that of the B-1a/U1s presented in the CAD illustrations. 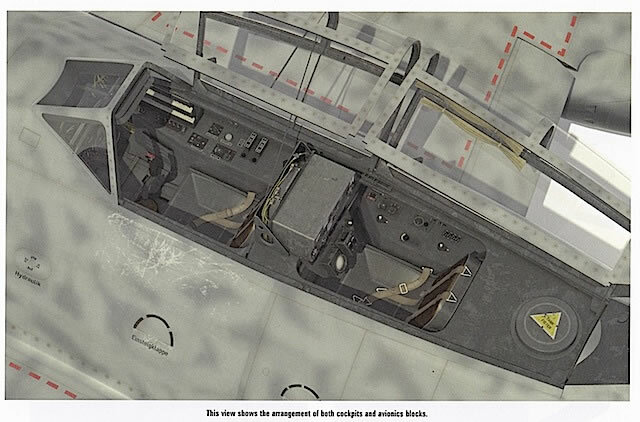 For modelers wanting photographs of the night fighter cockpit, there are a number of walkarounds of W.Nr.110305/"Red 8" available on the internet. 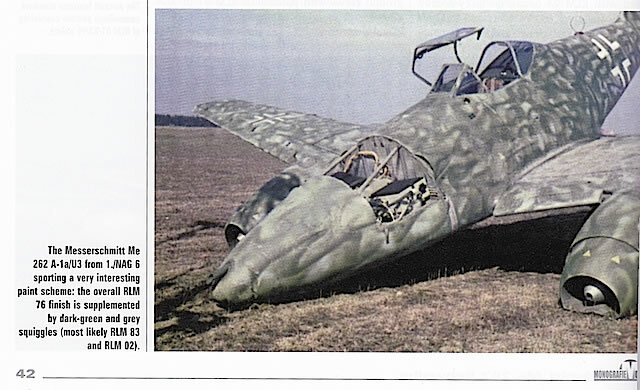 Me 262, particularly the twin-seat versions. Its mix of period photos, CAD illustrations, informative text and a colour photographic walkaround make it almost a one-stop reference shop - although I would probably always try to cross-check CAD details with actual photos. I know that when I end up pulling that 1/48 Dragon Me 262 B-1a out of the stash, this book will be on my bench. Thanks to Kagero for this review sample.